I thought I’d contribute this as a lesson to others about aftermarket decals. Given the calibre of modellers at the club I suspect that for most of you you’ll read this and think `well duh!, what was he thinking’, and thinking back on it, so do I, but hey such is hindsight. I’m going through a phase where the scheme I want to follow is `Tiger Meet’ aircraft. 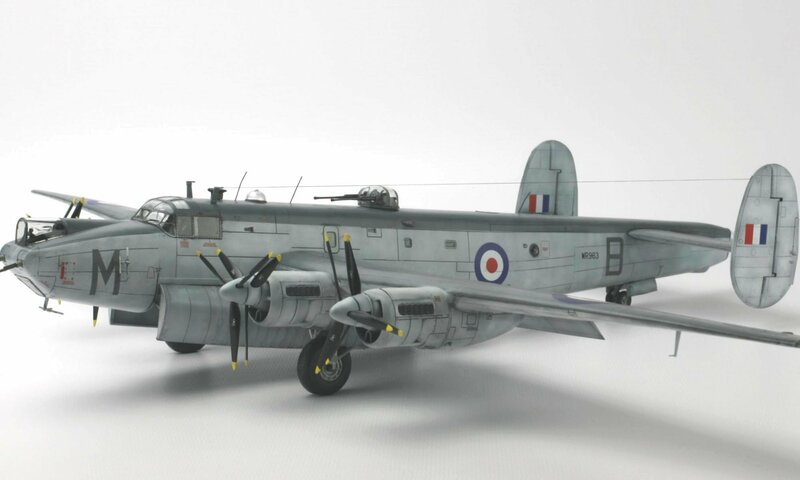 There have been some fantastic schemes produced for various Tiger Meets and there are a lot of kits being released with Tiger Meet schemes, Revell in particular seem to be hooked on these schemes. My desire to model these aircraft was given a boost when I discovered the Syhart Decal website. They have a number of amazing decal sheets available, and I quickly sent my order off for two of them. Syhart Decal set 72-025 is for a Mirage F1 at Tigermeet 94. I built the Heller Mirage F1 CR and painted it in the basic colours of yellow and white for the Syhart Decals scheme. This was the first of the Syhart sheets that I tried and things did not get off to a good start, in fact they got off to a disastrous start. The instruction sheet that comes with the decals recommends that you cover the decals with varnish. I had a can of Humbrol Varnish that I used whenever I was printing my own decals and so I used this. I was disappointed (as this is a family newsletter we’ll leave it at that, the actual words I used to express my disappointment at the time would impress even the most battle hardened troop) to see that as I finished lines were starting to disappear from the sheet starting with the thinnest lines. The sheet had cost me £10 and I had blown it in about 2 minutes of stupidity! So, this was a very expensive lesson and I realised that what I should have done was to test a small part first … ahhh, the joys of hindsight. I took the company logo from the other sheet I had ordered and tested it in water. The ink remained without varnish. Then I tested small sections with assorted decal setting solutions, none of them caused the ink to run.
. That left some stripes that needed touching up. For those decals that had white in them, for example the roundels and tail logos, Syhart provide solid white decals in the appropriate shape as backing for these. These white decals are very thin as well. I opted to use some French Air Force roundels from the spares box. I put the backing on for the tail logos and managed to get one of the logos on successfully, the other folded over on itself. I tidied it up as best I could. Putting the decals on took a couple of nights. Every morning I would put on a coat of Klear to seal in the previous nights work. When all the decals were on I then touched up the gaps in the stripes and repaired the broken tail logo as best I could. The result is a fair approximation of what Syhart describe in their plans. I used Revells Lufthansa yellow, which is the wrong shade and the decals are not on exactly as Syhart say they should be. The resulting kit is a `nice from far but far from nice’ kit, so as long as you don’t look too closely it looks okay. A close up inspection reveals tiny black dots where the paint peeled off the decal but stuck to the kit and the tail looks a bit lumpy from all the decal film. All in all I am disappointed with the result but in terms of the lessons learnt, it was £20 well spent. So having learnt from the F-1 kit I ordered a bottle of Microscale Decal Film and prepared my Mirage 2000 to receive Syhart sheet 72-008. This is a truly amazing colour scheme having two large tigers eyes painted large on either side of the fuselage. I used the Revell Mirage 2000 Tigermeet kit. Of course, as this is already a Tigermeet scheme aircraft, I had to buy two of them (as my wife says, any excuse will do). By the time I was ready to start decaling this kit I had received the bottle of Microscale Decal Film. I tested it on a small patch of the Syhart logo (as all modellers do by default of course … J ) and was pleasantly surprised at how easily it went on and also how thinly it dried. I covered the sheets with this and left them to dry. I had painted those sections of the fuselage where I was going to apply the eyes white as I wanted the eyes to stand out, so a white base should help do that. I did make an error applying the eyes on one side and they are closer than they should be. This meant that I had to modify the stripes that go between the eyes by cutting out strips in order to compact them a bit. I used the Revell decals for the various stencils and service markings. I am happy with the finished item as the eyes do stand out nicely. Always do a test on a small part of any decal sheet. The Microscale Decal film is a wonderful product and I’ve thrown out the Humbrol varnish. If a manufacturer recommends applying a varnish, do so, even if your tests (see point 1) has shown that this appears to be unnecessary. When expressing your disappointment at the destruction of a decal sheet through your own stupidity, either do so quietly or ensure the kids aren’t at home.